If you love outdoor activities and more of an adventurous soul, rigger’s belt is an important accessory which helps as support for various activities. They are easy to use and are conveniently tied around your waist as another other belt but are much stronger and productive. The rigger’s belt is rugged, rough and extremely durable which are more commonly used by military personnel or regular civilians who indulge into adventurous activity. The best Rigger’s belts are tough, reliable and last for years. They not only hold the pants tight but are also designed to sustain and hold your body weight. They are mostly used for performing activities like zip lining, rock climbing, rappelling etc. where ropes are fastened to the buckle of the belt. The belts have space to support tools, knives, small gun etc. and are a must accessory for outdoor fun. With so many varieties in the market, it is not easy to find the best quality of Rigger’s belt but to make your job easy, this comprehensive guide will help you decide the best option. The guide has been prepared by experts who constantly use Rigger’s belt based on personal use and experience. There are certain features and characteristics one must look for while choosing the Rigger’s belt. 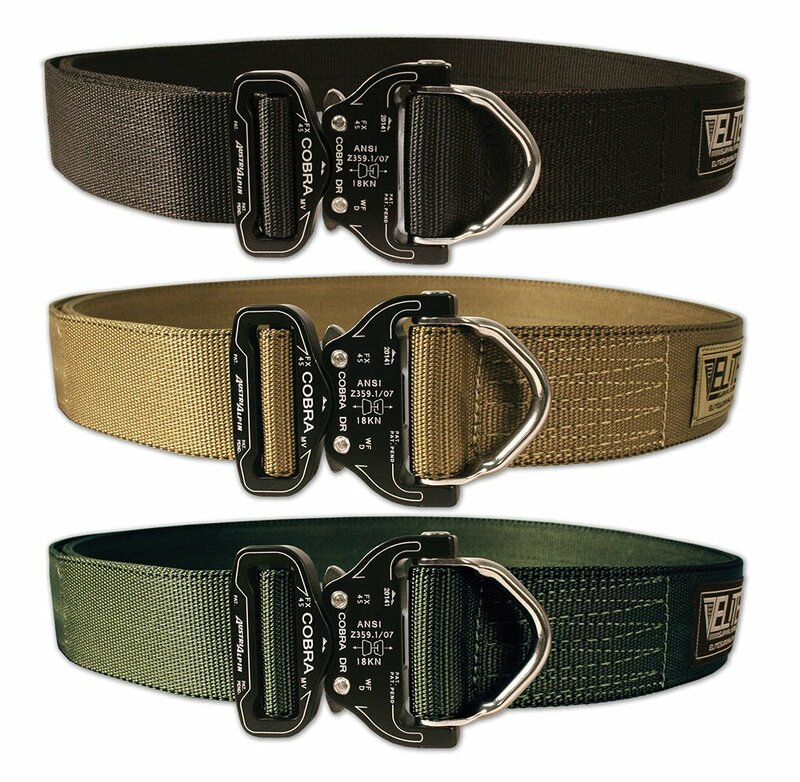 The belt is versatile and is popularly used amongst outdoor enthusiasts and military for tactical and support purpose. The belt must be checked for certain features before investing on it. You need to make sure that the belt is extremely durable and rugged so that is able to withstand extreme environmental conditions and support multiple activities. Most of the rigged belts are made of Nylon which gives it a great tensile strength in the range of 7000 to 8000 lbs. The buckle system is another important aspect that you must check before making the purchase because it is what holds the belt secured. The loop and hook system of the buckle is very popular and secures the belt appropriately. Also, the D-shaped buckle ring can be used for holding the belt appropriately. The layers of stitches within the belt make sure that it is compatible for holding various gears. With holster and pouch support, it is able to hold different gears. The toughness and strength of the rigger’s belt are something that cannot be overlooked because it is extremely important. The more the belt is strong, better is the ability for performing different activities. The rigger’s belt from BlackHawk is extremely durable and rugged with versatile usage. It is constructed to withstand extreme and tough environmental conditions. The running end of the belt is securely held with help of hook and loop design. The belt around the pants serves different task and purpose. The belt boasts of high-end superiority and durability through its Nylon construction of 1.75 inches. The belt offers a tensile strength of over 7000 pounds and thus can be used for parachute activities. The buckles of the belt are made of parachute grade quality and give a high-end performance in the field. 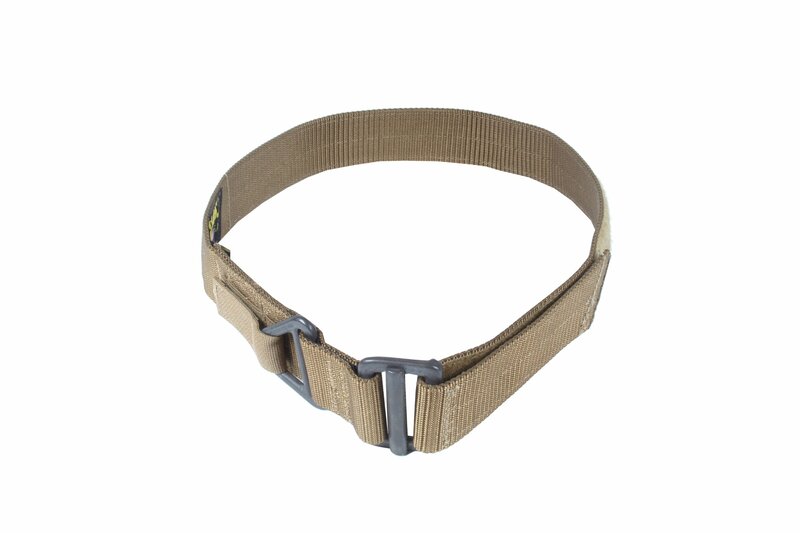 The rigger belt is of military grade and is capable of withstanding extreme environmental conditions. It is versatile and is capable of performing a wide range of tasks. It is great in terms of durability and is constructed with 1.75-inch Nylon webbing that provides 7000 pounds of tensile strength. The buckle is made of parachute grade which is reliable and the adapters meet the PIA-H-7195 standards. The belt is secured with hook and loop running end that fastens the belt appropriately. The belt is slightly on the heavier side and takes some time to adjust with. The size of the belt is comparatively smaller. The rigger’s belt from Elite Survival System is extremely durable, rugged and reliable which is suitable for use while performing multiple outdoor activities. The belt is integrated with quick release AustriAlpin D-Shaped ring buckle. The specification of the belt is great and is constructed with 1.75-inch Nylon webbing construction. The belt has a tensile strength of 7000 pounds. The belt is durable and made stiff that supports a wide range of outdoor gears. The belt has patented quick release system along with rescue D-ring that has 4000 lbs. straight pull tensile strength and the D-ring gas 5000lbs straight pull tensile strength. There are holsters and pouches in the belt which is supported by internal stiffening layer that adds more rigidity. The belt is strong and durable that is suitable for use for various outdoor activities. It has D-Ring Cobra Buckle which integrated together AustriAlpin’s patented Cobra quick release system along with rescue D-ring. The belt is constructed with 1.75 inches of Nylon webbing that provides a tensile strength of 7000 pounds. There is an internal layer added for stiffening which adds rigidity for supporting holster and pouches. The handling of the D-shaped ring buckle is slightly tough for beginners. At times disassembly of the belt needed to fit through the belt. The rigger’s belt manufactured from Specs Ops is known for its superior quality and high-end performance. The belt has great features and characteristics and can be used for versatile situations and in outdoor activities. The belt is of military grade and extremely rugged which is constructed using 1.75 inches of Nylon webbing and provides a tensile strength of 8000 pounds. It is resistant to wearing & tearing and abrasions due to liner made of Hypalon. The belt is secured with help of its Buckle and V-ring features and is backed by hook and loop system. The belt has added a layer of stitches that makes it strong to hold weapons, gears etc. The belt has heat-sealed bitter ends that prevent fraying and gives the belt longer life. The hook and loop system prevents accidental belt loosening. The belt is made of superior quality and is constructed with 1.75-inch Nylon webbing that supports 8000 pounds of tensile strength. The belt is integrated with a layer of Hypalon liner which makes it resistant to abrasion and tear. The buckle of the belt is a hook and loop design which provides great security. The belt is not extremely stiffest one if that is what you are looking for. It is slightly bigger is size. The comprehensive guide is something that will help you make the right selection for Rigger’s belt which is important for outdoor activities. The belt needs to be of high grade and constructed using superior material that lasts for long. Most of the belts are also made abrasion resistant with help of extra layers of stitching. With such belts, it is possible to do rock climbing, rappelling etc. kind of activities by simply hooking the required gear to the belt. It is not easy to find the right kind of gear which makes it important that you do a thorough analysis and read reviews before making the purchase. The listed review of best rigger’s belt is done by experts after personally testing and trying the individual belts. The guide has a brief review with pros and cons which make it easy for you to make the right selection. If you are outdoor enthusiasts it is recommended that you invest in a great quality and long lasting rigger belt.